Flags like this one (pictured above) fly at at hospitals like Lee Memorial in Fort Myers. It is an Organ Donor flag – a way to honor those who give life even after they have died. 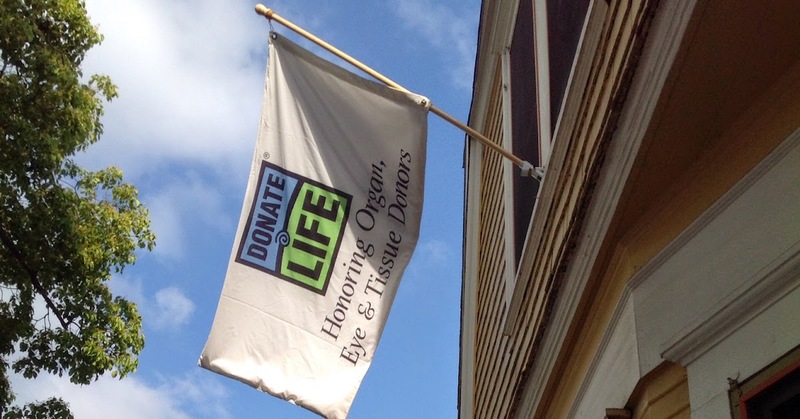 “The donate life flag raising program is an opportunity for us to work hand in hand with our donor families and have a chance to honor and recognize our heroic individuals who are saving lives through organ and tissue donations,” said Betsy Edwards of Life Link. Lee Memorial Hospital has been partnering with the Life Link Foundation since 2015 for these ceremonies.